Professor Marick Masters has been named president of the Detroit Area Chapter of the Labor and Employment Relations Association (LERA). The organization’s monthly dinner meetings provide a forum for management, labor, academics and neutrals to explore issues of industrial relations and human resources. 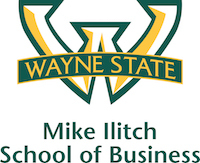 Masters is a professor of management and adjunct professor of political science at Wayne State University. He has published numerous articles and two books: Unions at the Crossroads and The Complete Guide to Conflict Resolution in the Workplace. He has commented extensively in various media and is a senior partner with the consulting firm of Albright, Irr and Masters (AIM Consulting) based in New London, CT. His research and teaching interests are in negotiations, business and labor political activities, and union finances. LERA membership is open to anyone interested in or active in the field of labor-management relations. The 100-member Detroit Area chapter meets the first Thursday of the month, October through November and January through May. The chapter publishes an annual membership directory and has established the Mark L. and Elaine Kahn Endowed Scholarship Fund. For more information, visit the LERA webpage or contact Masters at marickm@wayne.edu or 313-577-5358.